June 14, 2013 / P.J. Substitute “disc golf website” for “school,” and you’ll see what we’re getting at here. 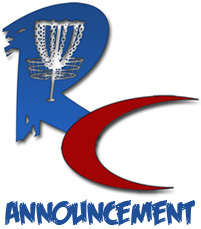 The staff at Rattling Chains has decided to take a summer break, if you will, to recharge the batteries and make sure we are still bringing you the best disc golf content the Internet has to offer. Truth is, we feel like we just finished final exams and need to blow off some steam. With new employment opportunities, family commitments, and the desire to, you know, actually play disc golf, the day-to-day running of the site was turning into a bit of a grind. Since the handful of people behind this site are volunteers, and we all have things other than the site that take precedence, we felt it was important to take a step back, breathe, and get back to why we started things here in the first place. The end result is, outside of our coverage of the PDGA National Tour, no new posts are scheduled to run starting this weekend until Labor Day. Plus, we’ll still be active in social media. We plan to post regularly on Facebook and Twitter, diving into the archives to bring you the “Best of” Rattling Chains throughout the week. We’re also going to be reaching out to readers to gather photos for Photo Focus as well as for everyday golfers to submit what they carry so we can resurrect our “What’s in the bag?” feature. And keep peeking here because we’re in the midst of planning a couple of contests and giveaways for this summer as well. We appreciate all the support the readers of this site have offered as we have grown over the past year-plus, so we hope you’ll stick with us through this stretch. Our goal with this is to reload and be able to continue being the best stop for disc golf on the web. We are confident it will be worth the wait. NOOOoooooo. Okay, maybe a little dramatic. Enjoy your summer… RC will be missed.